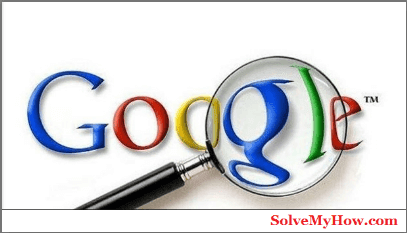 By doing power searching with Google, you not only access the world's information at one place but you can also access credential data of people. So in this post, we will see some beautiful google hacking tricks and commands with which you can use Google for exploiting security vulnerabilities that exist on many websites. So read the below-mentioned tricks carefully. Have you ever imagined of hacking public security cameras? If yes then just wait for a while, because your dream will come true today. 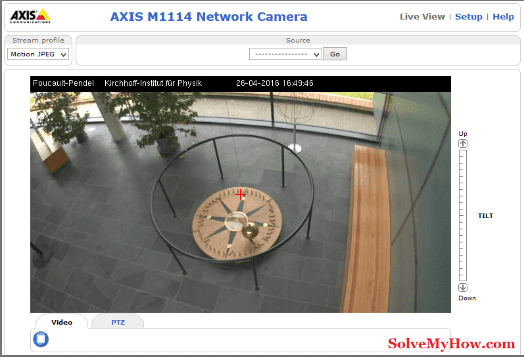 You might have noticed many security cameras around you or wherever you go like parking lots, college campus, malls, road traffic etc and guess what, with Google, it is possible to hack these cameras and you can see the real-time images taken by these cameras. To execute this hack all you have to do is type the below-mentioned query in the Google search and hit enter. Look at the snapshot below. 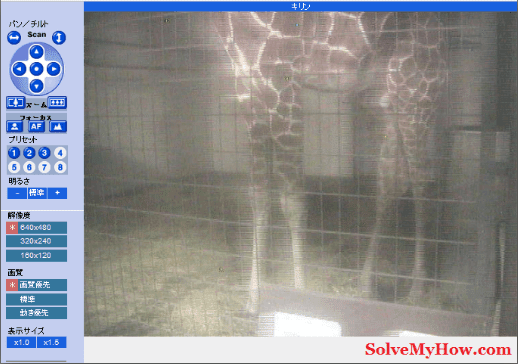 So as you can see in the above snapshot you can gain all the controls on these live cameras. You can view these cameras in all the 4 directions. You can also zoom in or zoom out. You will get all the real-time images. So to get more refresh rate cameras, just type the below-mentioned query in the google search and hit enter. You can see the snapshot above of one google search result. So using google it is possible to gain access to email repository containing CV of hundreds of people which were created when they might have applied for jobs. These documents obviously contain lots of personal information about people's such as mobile number, address, DOB, education, work experience etc. When you hit enter, Google will provide you all the results with pdf or docx files. These files are cv of people who might have applied for jobs. You can also gain access to .xls files (excel documents) which contains the personal mobile number and email ids of people. So, to do so just type the below-mentioned query in the google search. You might be thinking this is ok and you can easily get the above stuff. But what if I say you can also gain access to people's personal bank accounts details? Are you shocked? Oh, you definitely should be! So to get people personal credit card number's or bank account details, just type the below-mentioned query in the google search. Have you ever thought of downloading free stuff such as free music or ebooks by using google hack? Well here is the easy way to do that! To download free music using google, just type the below-mentioned query in google search and hit enter. Now you will find all the search results containing "Rihanna" songs where you can download any song from the list. Instead of Rihanna, you can type your favourite singer name say "Eminem" and then hit enter. After that, you will get all the search results of "Eminem" songs. So this was how to download free music using google hack. By using the same method you can also download ebooks and your other study material. Just replace "mp3" with "pdf" or "docx". Just type the above query in the google search and you will get all the results with java pdf or doc files. You can also replace pdf or docx with "zip" or "raw" files. So this was all about how to use google for hacking. I hope you enjoy using google for hacking stuff on the internet. Did you found this post interesting? Then why to keep it up to you, Please do share this post with your social media friends on Facebook, Google plus and Twitter. You can also connect with us on Facebook and you can also subscribe for the SolveMyHow newsletter to get instant updates about hacking and google tutorials right into your inbox!